The number of bedrooms and bathrooms per house is increasing while lots are shrinking. Tastes are changing and we want more bathrooms per household. Maybe we want more privacy, maybe kids are living with us longer or even returning, maybe our parents are moving in and what ever the reason, bathrooms are shrinking because there are more of them in each house. 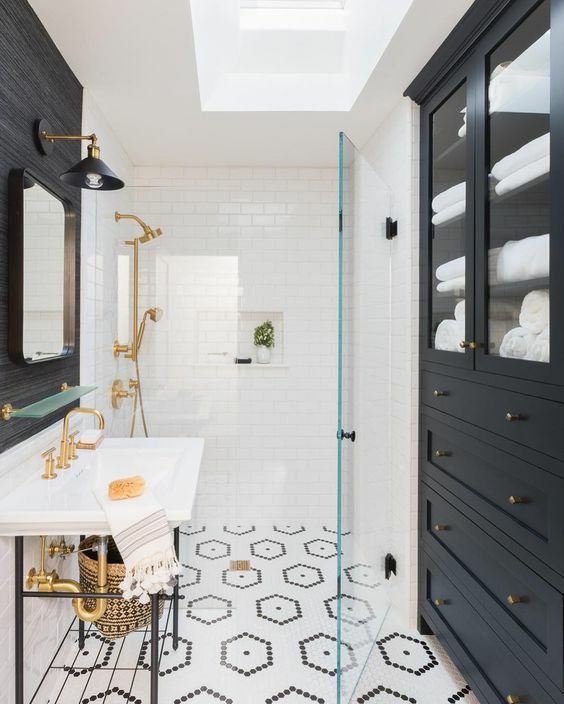 And while a small bathroom doesn't feel luxurious and spa-like you can make them feel much bigger using clever bathroom lighting ideas. This post will show you how. 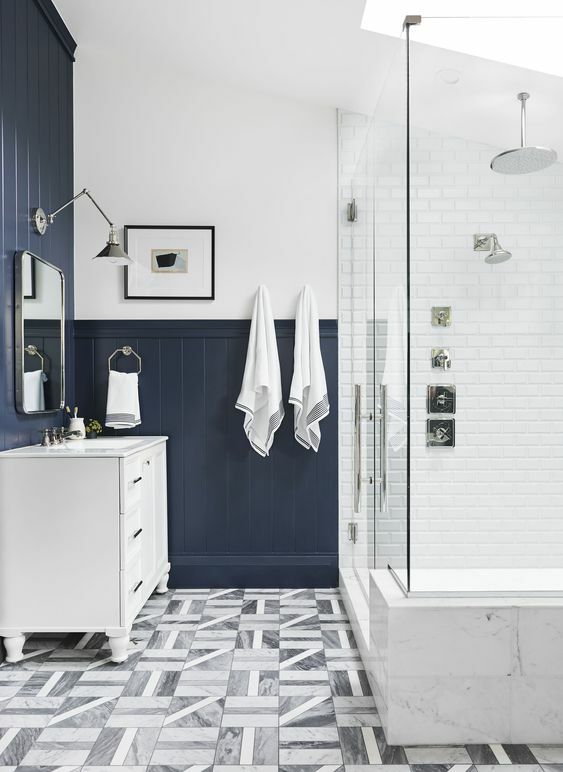 The starting point to make any bathroom appear bigger is using quality lighting. That means your lighting should be functional, placed strategically as well as look great. You can still use dark contrasts to create features but your lighting should be bright and layered. Interior designers will often use bright lights to make a bathroom feel more spacious. And while that might seem like the solution, a too-brightly lit bathroom can feel stark instead of relaxing. A bright bathroom can't compete with subdued mood lighting to relax in the bathtub and we have all put make-up on in the wrong light to look like a clown or the undead. You need a balance between brightness and subdued lighting by using layered lighting. Strategically placed lights around areas like mirrors can more than double your lighting. This is perfect task lighting for shaving, brushing teeth, styling hair or applying makeup. 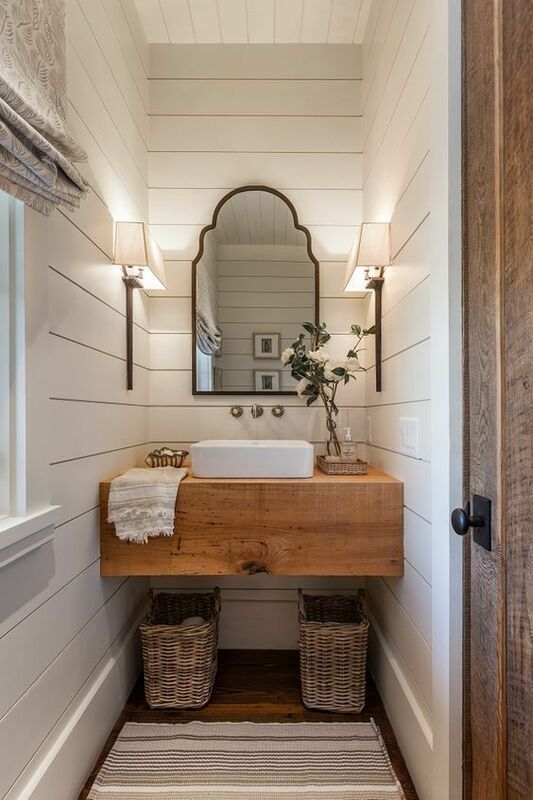 The larger the mirror the more light will get reflected back into your bathroom. If you can't accommodate a large mirror over the sink, two smaller sinks and mirrors are also effective. 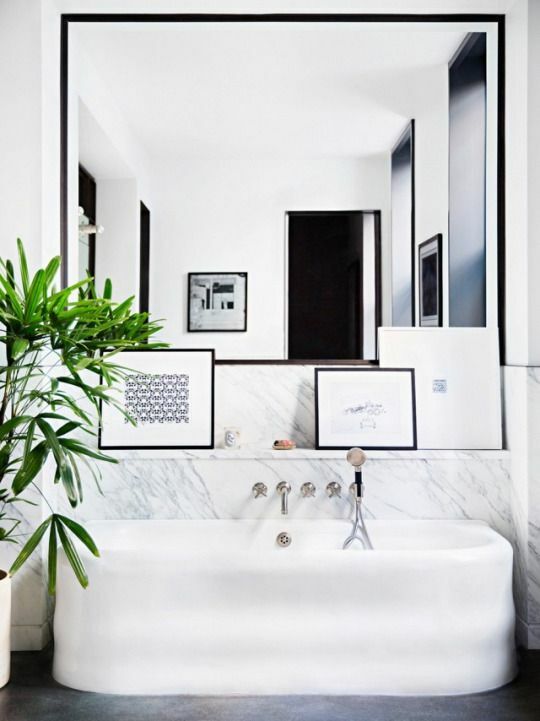 Don't forget the space over your bathtub, another mirror and more lighting over your bathtub to make the space feel even bigger. These additional elements cost money but they are worth it. As well as more than one lighting source, use dimmer switches and split switches to choose which kind of lighting you want or need at any time. 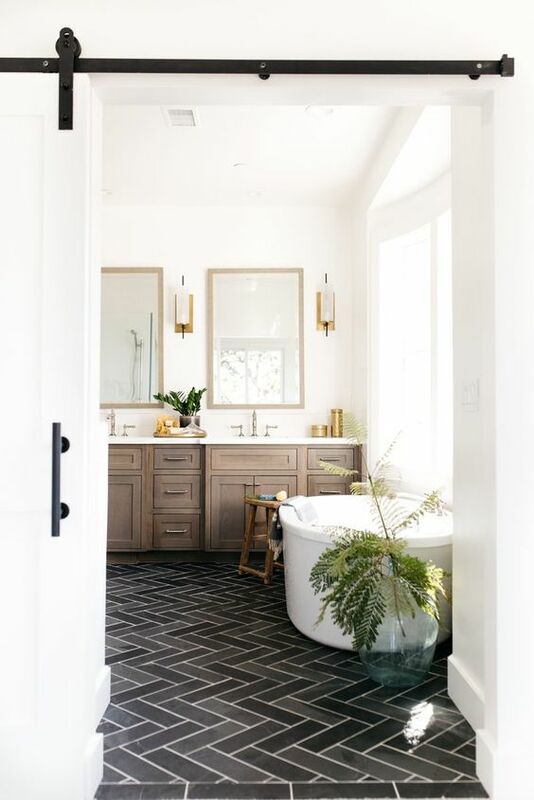 Wall sconces either on a mirror or on either sides of your mirror provides great task lighting and helps you to make your bathroom look bigger. This lighting removes shadows which makes applying make-up, shaving etc easier and also provides a beautiful decorative touch. But don't rely on wall sconces alone. For functionality and safety use ceiling, strip or alcove lighting to illuminate the rest of the room and vanity areas. 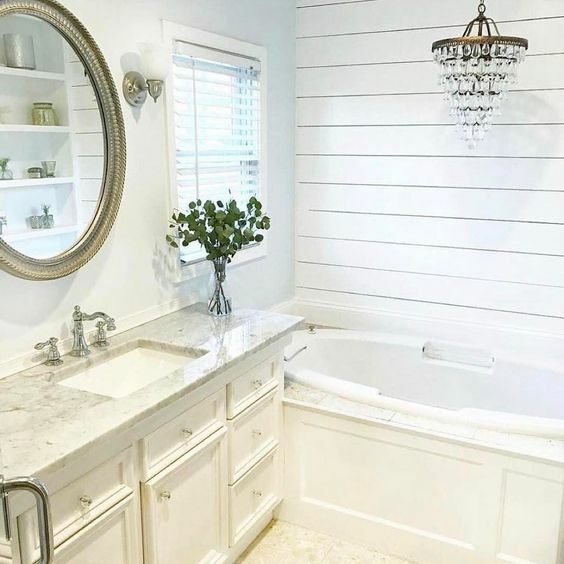 A pendant light or chandelier work well over a bathtub as a feature but are not always the best for reading a book in the tub. 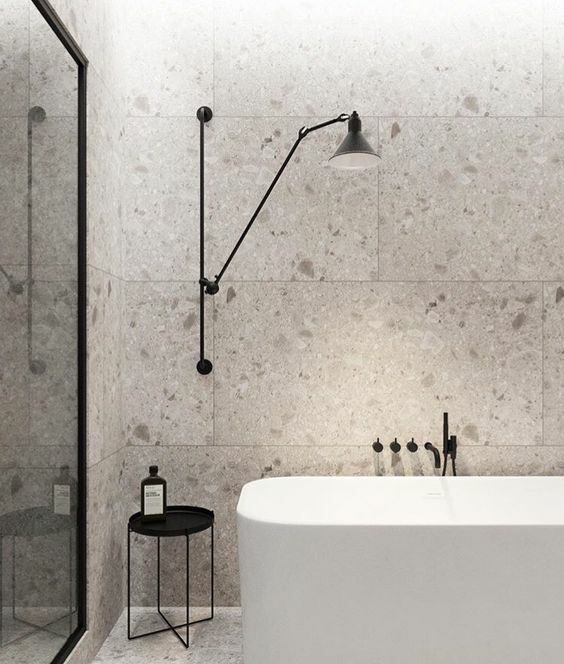 Bathtubs also need task lighting that can be adjusted to low for a relaxing soak and don't forget the shower, because no-one likes to shower in the dark. 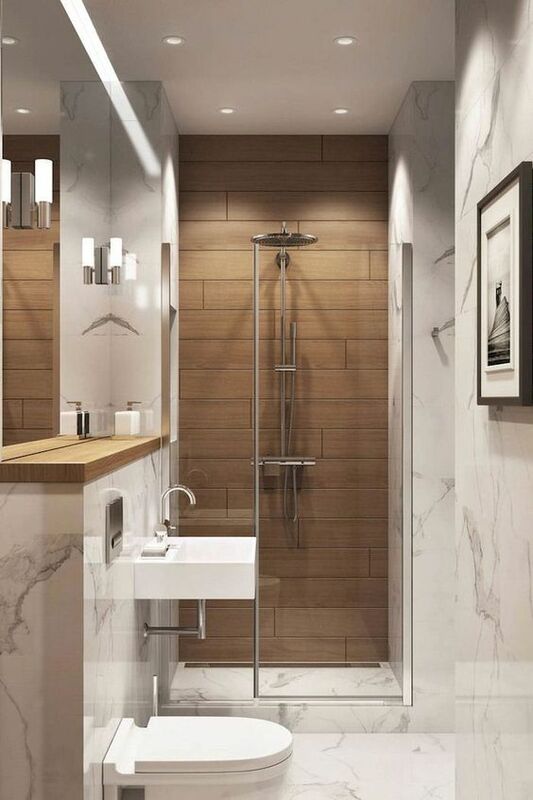 Matching your light fittings to blend with cabinet handles or faucets using matching glass, wood or metal attachments makes your bathroom feel seamless and bigger as your eye moves easily around the room. 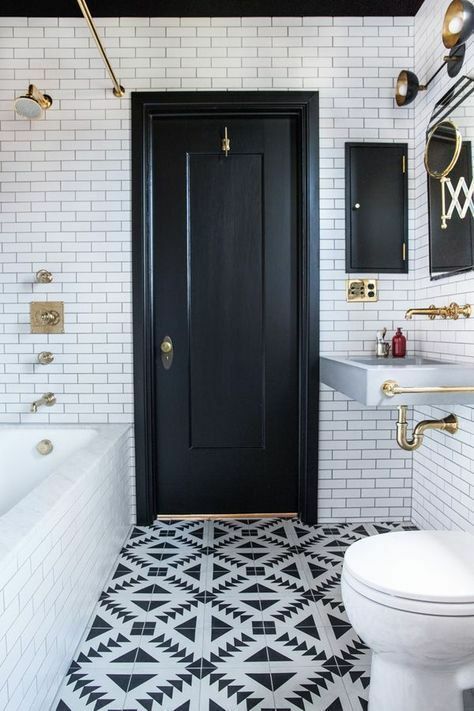 This also makes your bathroom appear larger, cleaner and newer. Remove everything off the bathroom floor. 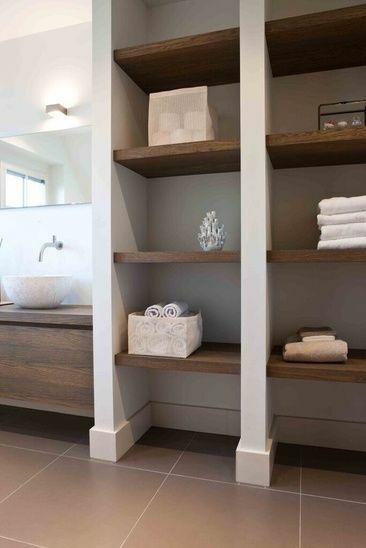 Use wall storage, thin floating vanities and a pedestal sink to make the floor space feel bigger and less cluttered. 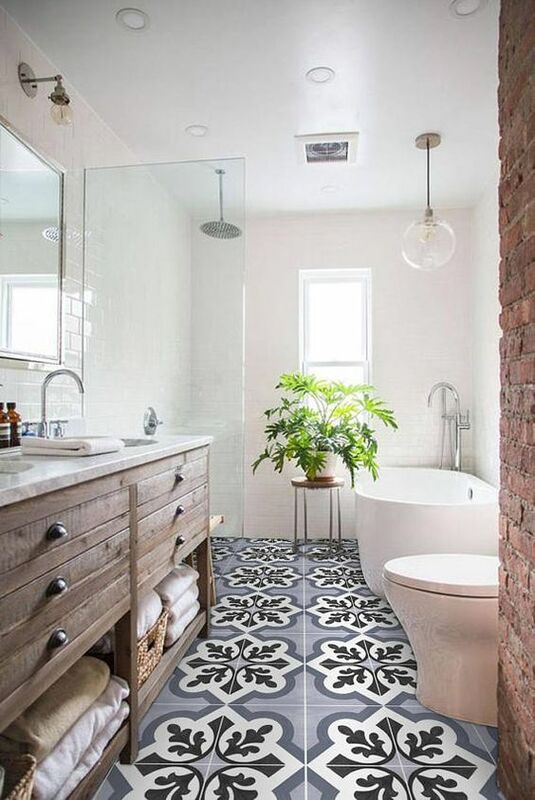 Plain colored tiles can create the illusion of a larger bathroom floor space. 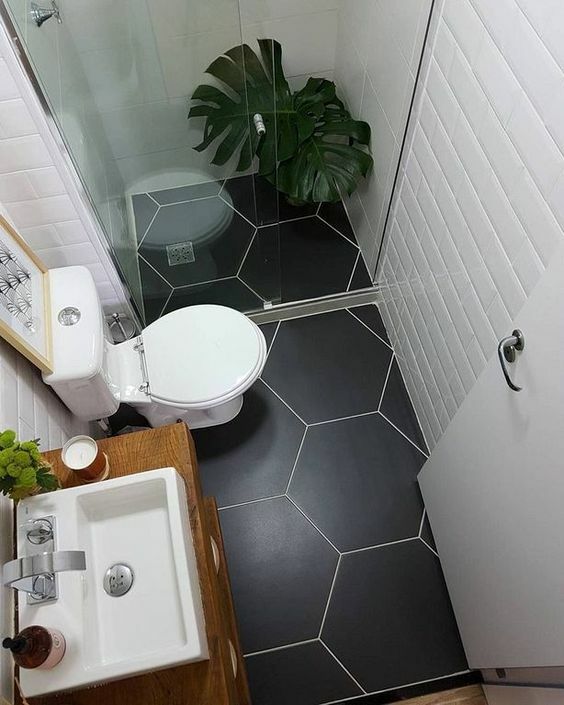 Often people will use small tiles in a small bathroom, but too many grouting lines can make the floor seem much smaller. The fewer grout lines the less busy your floor appears and the larger it feels. 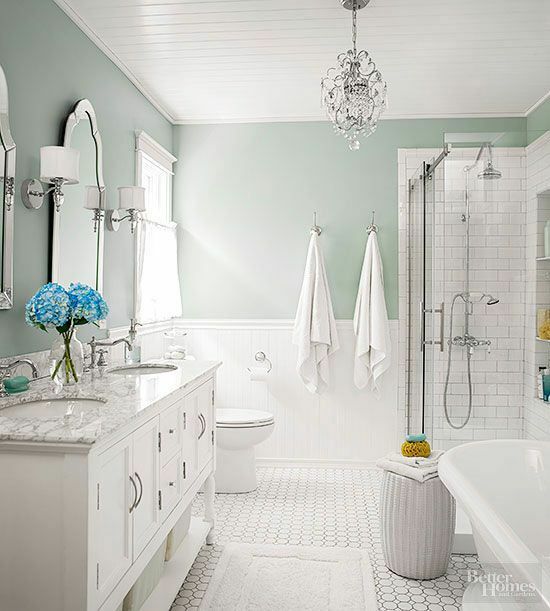 Be creative with your bathroom lighting to make your bathroom appear large, luxurious and spacious.